This presentation follows the wartime experiences of a group of ten soldiers from Lancaster County who joined Company E, 79th Pennsylvania, nicknamed the "Normal Rifles" for their connections to the Millersville State Normal School. Using photographs and their own words, we will learn about their backgrounds, the battles they fought, their connections to the home front, and where we can see their legacy in Lancaster today. 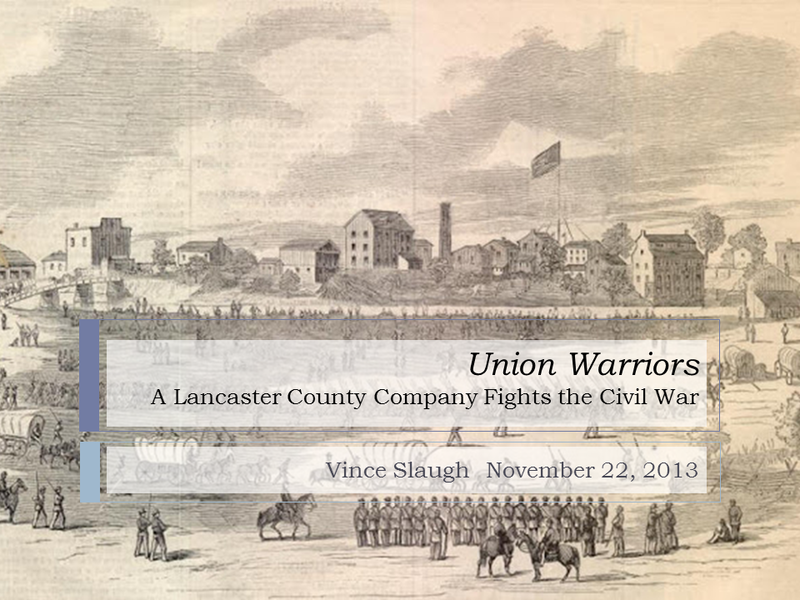 On Friday, November 22, I will be giving the latest iteration of my presentation, Union Warriors: The "Normal Rifles" Fight the Civil War, at the Lancaster County Historical Society. There will be a social gathering with light refreshments beginning at 4:00pm, and the presentation starts at 4:30pm. My presentation will follow ten soldiers of Company E, 79th Pennsylvania, through the war, and try to understand their lives and places in the community before and after the war. 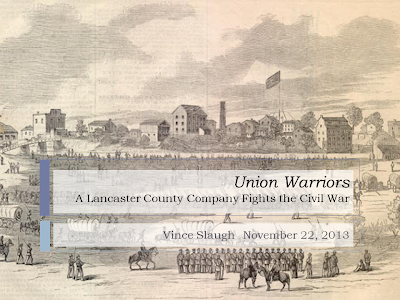 In this version of the presentation, I will highlight people with connections to the Lancaster County Historical Society through involvement in its early days (e.g. Lieut. Samuel L. Hartman) or through items donated to its collections (Pvt. Reuben Long). 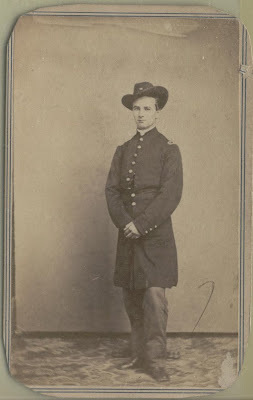 While many aspects of the Civil War's military and political history have long been the subject of microscopic attention, I believe we still lack a fundamental understanding of how individuals and communities experienced the war. 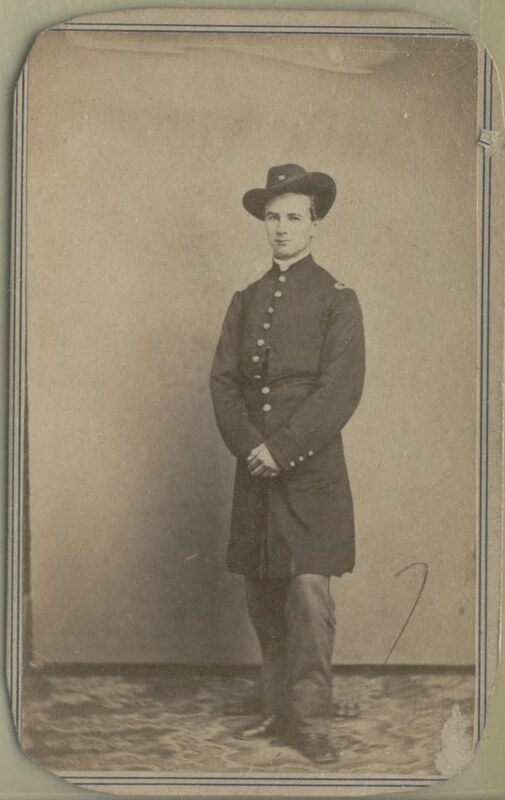 This presentation serves as a case study for understanding what the war meant to one community: How did existing social networks translate to Civil War armies? Why did soldiers enlist? How were soldiers' families cared for? How did soldiers stay connected to the home front? What happened to the wounded? How did communities mourn and remember the dead? How did soldiers on the battlefield attempt to influence life at home? As historians have pondered the future of Civil War history, some -- in particular, Peter Carmichael of Gettysburg College -- have proposed a new "nation at war" paradigm for understanding the war and its ability to both provide an opportunity for people make heroic sacrifices for the nation and senselessly rob people of their humanity through horrific suffering. 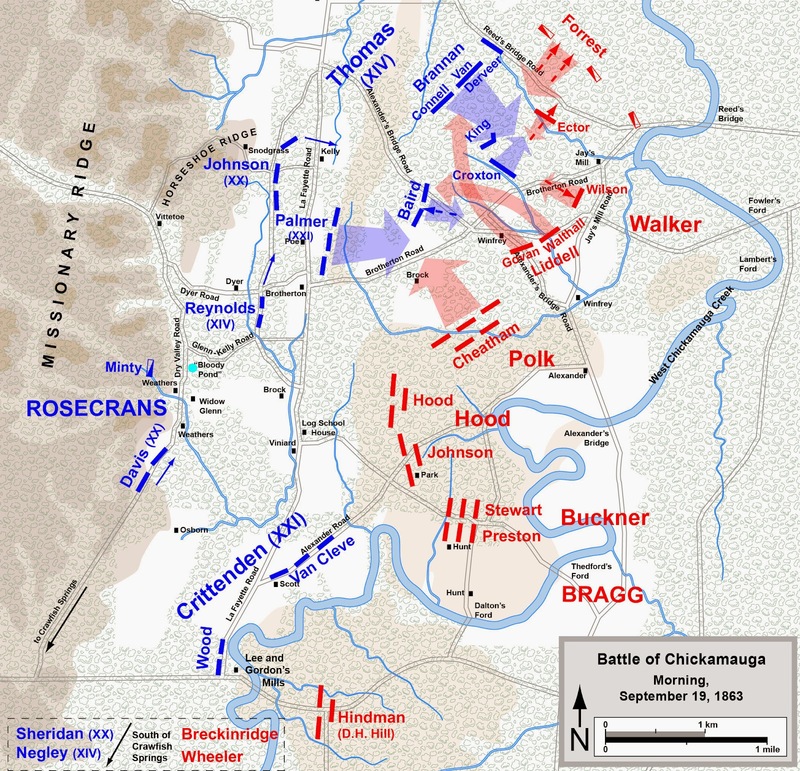 Ensuing discussions on blogs centered around how the National Park Service should interpret this on battlefields, and that's a complicated question. What's straightforward, though, is that communities like Lancaster and Millersville/Mountville provide an extraordinary opportunity for us to find a "usable past." Monuments, cemeteries, farms, intersections, institutions, churches, and homes in the community around us offer tremendous chances to interpret the sacrifice and suffering that came with the Civil War. And that's what I hope to show by focusing on the stories of ten soldiers of Company E, 79th Pennsylvania. I hope to see you on Friday. 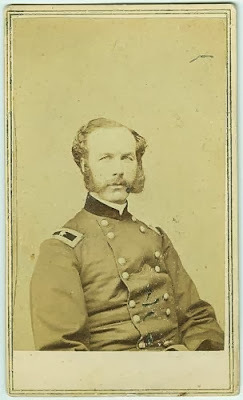 If you get a chance, please introduce yourself and your interest in Lancaster's Civil War history.